We are a leading Manufacturer of servo voltage stabilizers and servo controlled voltage stabilizer from Bengaluru, India. 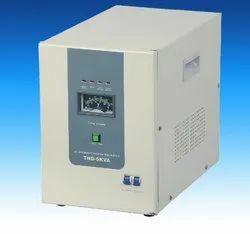 Offering a wide range of Servo Voltage Stabilizers is an effective solution for the voltage fluctuation. Our range of Voltage Stabilizers are available in market in bulk at reasonable prices as well in order to meet the need of our customers. 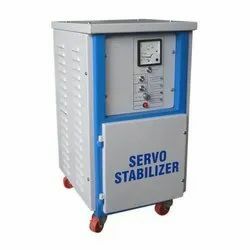 Keeping in mind the changing requirements of customers, we are involved in offering a wide assortment of Servo Controlled Voltage Stabilizers. These Servo Controlled Voltage Stabilizers are known for its hassle free performance. Further, these products are available in market at reasonable prices. Our products are of world class quality. It is ideal for centralized applications in any industry to protect all the machinery and equipments which are under complete voltage control.